1. 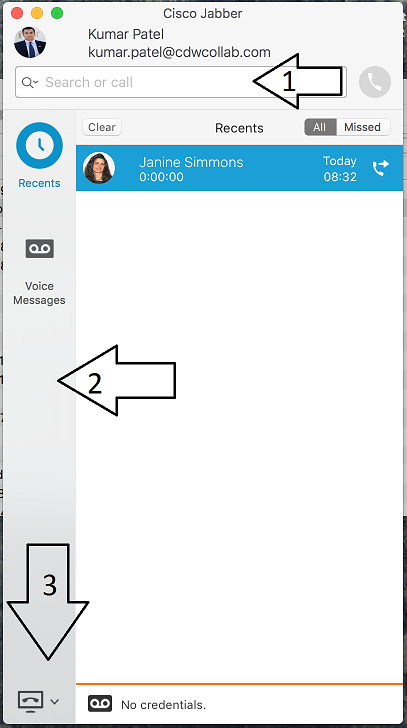 Search or call bar: Type a number to place a call or search your contacts, recent, and directory by name or user ID. 3. 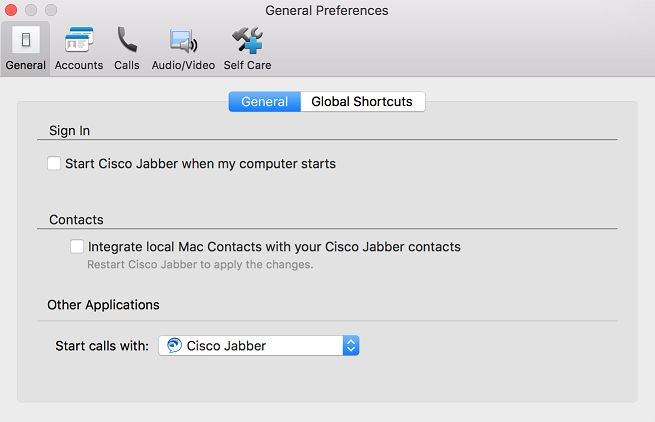 Phone Controls: Switch between computer and desk phone modes or modify other phone service settings. 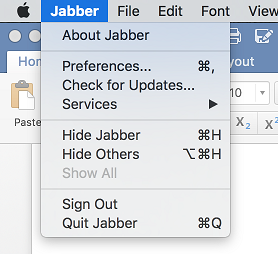 Navigate to the top of your desktop Finder and select Jabber then Preferences.